Tourism Kamloops has just returned from the TMAC Marketplace and AGM held in Sydney, Nova Scotia June 22nd – 25th. This annual event welcomes over 60 Canadian media – journalists and bloggers – to meet with tourism industry partners in one on one, prescheduled appointments to pitch destination “must-do”. 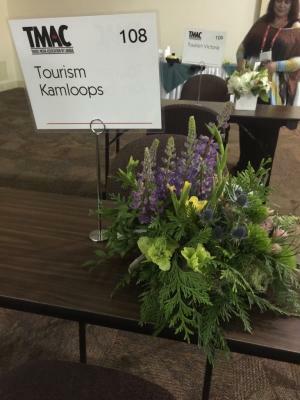 Over two days, Tourism Kamloops engaged with 20 media through our appointment schedule and networked with many more during professional development sessions and event networking opportunities. Key conversation highlights focused on Kamloops’ unique landscapes and access to some of the best hiking and mountain biking trails in the province, our flourishing wine and craft beer scene, our remarkable golf experiences as well as interest in multi-day active itineraries on land and water that included our surrounding destination partners located in Sun Peaks and the Shuswap area. Overall, the media were very encouraged by what Kamloops has to offer and are looking to uncover some of our greatest stories.